A bridge to authentic Indian culture. 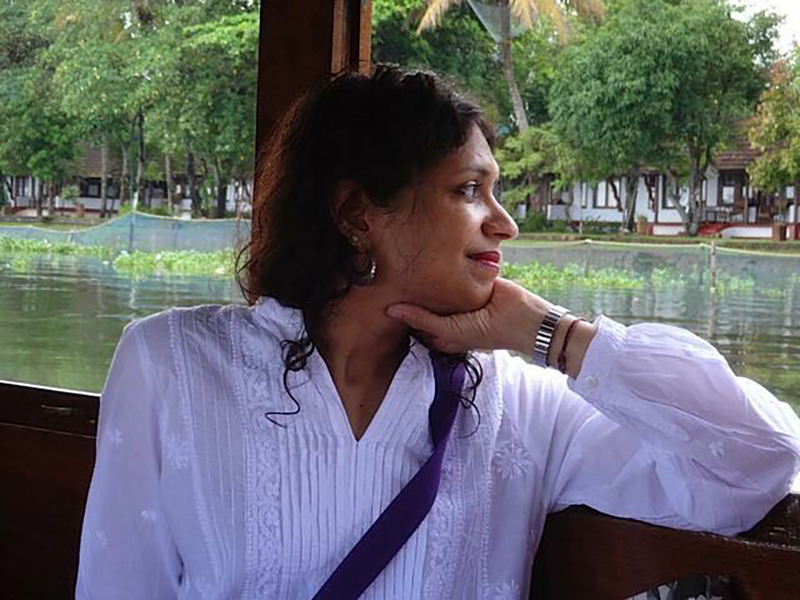 Sonali leads bespoke retreats to India focused on Yoga, Ayurveda and culture. Born in the foothills of the Himalayas, the birthplace of the twin sciences of Ayurveda and Yoga, Sonali has been practicing Yoga since the age of seven. Her development as both a student and a teacher of wellness have taken her all over the world, from India to Thailand, and to the United Kingdom. Sonali first began her studies under her grandfather, a disciple of the famous Yogi Swami Sivananda. Sonali closely follows the philosophy of her great uncle Sri Aurobindo, the creator of Integral Yoga and the founder of Auroville in Pondicherry, India. Like Aurobindo, Sonali believes in working towards personal spiritual enlightenment that enables Divine peace on Earth. Sonali furthered her studies with some of India’s great masters: Hatha Yoga with Dr Tripathi in New Delhi, and Iyengar Yoga with Swami Rudra Dev in Rishikesh. In Britain, she works closely with Iyengar teacher Nicky Hardy and Yoga Guru Vettri Selvan. Sonali incorporates a number of diverse cultural practices to enrich her teaching of Yoga. These include classical North Indian Kathak dance, Thai Yoga Massage, and Marma Therapy. The latter is an ancient pressure point massage used for healing and opening energy blockages favoured by Ayurvedic Gurus. Sonali comes from a family travel dynasty. Her father was a founding member of the Indian Association of Tour Operators, which pioneered the concept of cultural tours in India. She tailors unique trips based on the needs and wishes of the individual, be it health, celebration or simply pleasure. Her ability to fuse the physical and spiritual with culture and cuisine makes her the perfect guide for those in search of wellness who wish to deepen their experience of the world, and their understanding of themselves. Sonali and her groups travel exclusively to places with rich, healing traditions in order to guarantee the conditions for mindfulness and serenity. Sonali is the founder of Sonali’s India and Wellness-Yoga. Allow Sonali to keep you up to date with news of appearances, treatments and retreats.